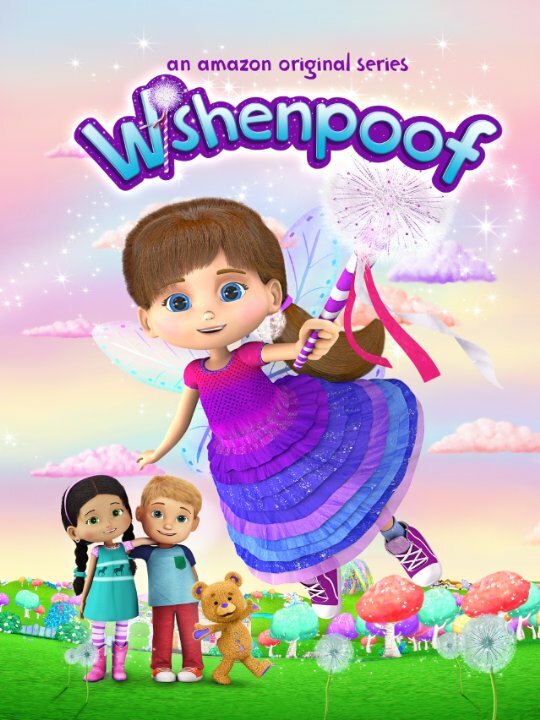 This is a sponsored post in conjunction with KidzVuz and AmazonKids, in addition to compensation, advance copies of all 13 episodes of Wishenpoof have been provided to us for Editorial Consideration BEFORE they were released to Amazon Prime Members. While I don't have children, I was a former Special Education Teacher and if there is one thing I do know it is that making learning 'FUN' is the best way for the lessons to sink in - and make the medicine go down - so to speak anyway! In addition to Back-to-School shopping, easing kids back into the transition of putting their 'learning caps' back on doesn't necessarily have to be a chore. And for those of you with 'pre-schoolers' who will be watching their older siblings go off to school, I have a show I want to put on your radar! On Friday, August 14th (THIS Friday Butterflies! ), Amazon will premiere all 13 episodes of the Amazon Original Series Wishenpoof for Amazon Prime Members in the US, UK and Germany (shout out to our German Readers, for some reason Ascending Butterfly attracts a ton of LOVE in Germany! Yes I do look at my Google Analytics every now and again!). 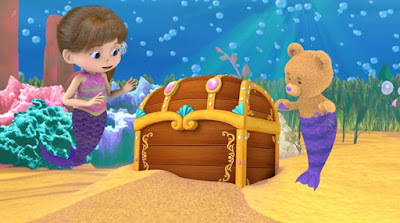 Supporting kids as lifelong learners and incorporating the "Seven Essential Life Skills" framework (life skills that help children reach their full potential and unleash their passion to learn) by giving children the life skills and mindset they need to lead purpose-filled, creative lives - the series centers on "Bianca" and her ability to magically fulfill her friends' wishes. You can check out the offical trailer on Amazon HERE. A fun, magical adventure series that teaches lessons through imaginative play, Wishenpoof inspires children to solve life's big preschool problems in creative ways. Wishenpoof was created by (19 Daytime Emmy Award Nominee) Angela C. Santomero (Blue's Clues, Creative Galaxy, Super Why!) and produced by Out of the Blue Enterprises, and calling all my 90210 fans out there, Bianca's dad is voiced by Jason Priestley (his daughter, Ava is voice talent in the show as well!). When Bianca's friends 'wish' it calls her magic to action and with the shake of her hand (and sometimes a cool wand) and a shout of "Wishenpoof!" she brings their wishes to life via magic, it's the learning of the when and how to harness her powers with the help of her teddy bear, Bob and her mom who has the same powers - where she both learns and teaches fun lessons on playing nice, not bullying, being creative, using her imagination, being kind - and she uses her "wish magic" to make her world a better place, but learns that ultimately she doesn't need to always resort to her magic to solve her problems. This show made me all kinds of happy. 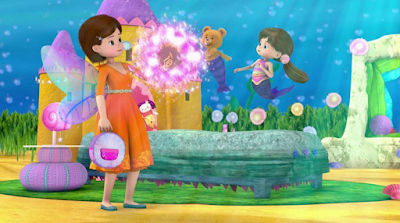 You know I'm partial to all things with wings, she is a fairy, there are butterflies and dragonflies galore and in one episode when even her beloved teddy bear Bob, becomes 'Bob the Butterfly' I may have giggled (let's not tell anyone I got that into it OK?). I only wish my nieces and nephews were still young enough for this show! There is glitter and sparkles and unicorns and magic, it's pretty much perfect! The fact that you can check it out for FREE if you are already an Amazon Prime member and also as part of 'AmazonFreeTime Unlimited' which was designed from the ground up for kids and is exclusively available on Amazon devices including Fire TV, Fire Tablets and a year long subscription is included with every Fire HD Kids Edition too. You can also watch shows using the Amazon Video App, (The Amazon Video App can be found on iPhone, iPad, Android Tablets and phones, Smart TV's, Roku and many Blu ray players as well, so get the App, and the show! (The show will be a total lifesaver during long car rides to keep the kiddos entertained and engaged. You're welcome!). No spoilers, but the show may just make you crave pickles. Don't say I didn't warn you! Need an Amazon Prime Free Trial? Just press the banner below, I've got you covered! Are you going to check out Wishenpoof with your little one on Friday? (No little ones of your own? Be sure to introduce the show to any nieces, nephews, godchildren or little ones in your life!) What is your favorite fun and educational show for your little ones? FTC Disclosure: This is a sponsored post, compensation has been provided as a thank you for my time, and the series was provided for Editorial Consideration, however ALL opinions are 100% my own! There are Amazon Affiliate links/banners in this post. I am disclosing this in accordance with the Federal Trade Commission 16 CFR, Part 255 - Guides Concerning the use of endorsements and testimonials in advertising, you may check our Giveaway and Disclosure Page for additional information regarding Ascending Butterfly Disclosure. This sounds like a great show. I'm all about anything that helps reinforce what we're already teaching our kids. I have heard such good things about this show. I'm sure the kiddos will want to watch it. I haven't heard of this series before, but my kids love watching shows via on demand. We'll have to check this one out, especially my daughter. This sounds like an adorable show. I am going to have to show my girls this one. Well 'Wishenpoof" That 's what the Dr. ordered a new show that's fun and can teach the kiddies good character ! I'm in AZ visiting with my little grandson now, and I am a Amazon Prime member. This sounds fantastic! My daughter would probably like this show! This new series looks adorable and I love the positive message it shares. I will certainly be telling my sister about Wishenpoof since my nephew is the ideal age group! I do, too! There are so many choices for shows, but most of them don't have any worthwhile message. That sounds like a cute show. I have some young nieces that would love this. This sounds like a great education show for kids. Mine are gown, but they would have enjoyed it. This sounds like a really engaging series for kids! Had no idea you were a special education teacher! This sounds great for little ones. I think my little nephew would really enjoy it. I'm all for shows that entertain and teach at the same time. This looks like it will be a big hit with kids and kids at heart. So sweet. It looks like a great show for kids. Amazon is coming out with some great programming. My babies are grown up now but this sounds like a fantastic show your young children. I love seeing all of the new programming that's good for kids. Sounds like an interesting show. You pretty much described it in such a way that I want to watch it myself! Thanks for sharing. I tell my friends about this. This sounds really cute, my little one is a sucker for a new animated cartoon. As her Mom I like something that teaches and entertains. This sounds like a great show. I'm sure that my kids would love it too. Shows like this are exactly what they love! This sounds like such a good show with a great message! I'll have to get my kiddos to check it out. I will have to share this with my friends with little ones. This is going to be a great show. I just paid for another year of Prime so I am going to have to check this out. Even though kiddo is 10 and merging out of shows like this, because its wishes and fairies, I think she will like it. This sounds like an awesome series for kids. I will have to share this with my niece for sure. I love the messages the series had for kids. Thanks for sharing. This looks adorable! I bet my nieces would like this show. I have Amazon Prime so I will have to give it a try. My son loves all things on his Kindle and plays all sorts of games. I haven’t heard about the show before but I’ll definitely check it out! I have a niece who would definitely be into something like this. We are about to get rid of cable in favor of Amazon prime & some other alternatives. Good to know there's great kids shows like this available. I haven't tried Amazon Prime yet. I will check that out and see if it will benefit us in the long run. I have Amazon Prime, I will certainly have to check this show out with the kids. This sounds like a great show. Looks entertaining for kids but also educational, which is awesome! It looks like it will be a great show! I will have to check it out and see if the kiddos should watch! !